(MindBodyGreen) Can you relate to any of the following? I follow all the rules, but I still can't lose the weight. I'm just getting old and my metabolism is slow. It's genetic. There's nothing I can do. Regular readers of MindBodyGreen know that chronic inflammation has been linked to a host of ailments — from depression and weight gain to cancer — but what can we actually do about it? Here are some tips to beat inflammation and boost your metabolism, excerpted from Dr. Lori Shemek's new book How to Fight FATflammation. 1. Have your thyroid hormone levels checked. I always suggest that anyone starting a diet plan get a thorough medical checkup that includes a blood test to check the level of your thyroid hormones. Low thyroid output is a very common (and often hidden) cause of weight gain. As soon as you wake up each morning, drink eight ounces of water. Then drink two eight-ounce glasses of cool water before breakfast, lunch, and dinner. There is research showing that drinking two glasses of cool water before each of your meals will boost your resting metabolism enough to lose five pounds a year, even if you do nothing else. 3. Don’t forget your protein. Make certain every meal and every snack includes a good source of protein because it will give your metabolism an additional boost. Remember, the protein you eat doesn’t have to be meat. A piece of celery filled with a tablespoon of peanut butter, for example, includes fiber, a complex carb, and, yes, protein. Have breakfast soon after you wake up — within 30 minutes. Eating breakfast reminds your metabolism to kick into gear. Studies also show that those who eat breakfast lose more weight and have an easier time keeping the weight off than those who do not. I recommend three meals a day and two snacks. This helps keep the metabolism humming and helps avoid hunger and cravings. When you are eating, take your time and chew slowly. Your metabolism speeds up when you eat slow and slows down when you eat fast. 7. Add some heat to what you eat. Capsaicin, which is found in peppers such as chili, habanero, and jalapeño, gives your metabolism a temporary boost. The same thing is true of ginger, black pepper, and hot mustard. This is a good tip for people who have an easy time digesting spicy food. 8. Don’t eat late at night. Eating when you should be sleeping stops the natural fat burn (ketosis) that takes place during the night. Don’t sit still for long periods of time. Even if you have a desk job, make a point of moving around as much as you can. Move your arms and legs while you are sitting in a chair. Get up every 30 minutes. I like to do 10 squats, which takes roughly 10 seconds, but if you have trouble with squats, do 10 leg lifts on each side. If there is a water cooler, walk out and get some water. Walk around your desk and stretch. When you get home, don’t collapse into a chair or couch and stay there without budging. Do as much walking as you possibly can. Swing your arms as you go through life. Even fidgeting makes a difference in how you burn those calories. 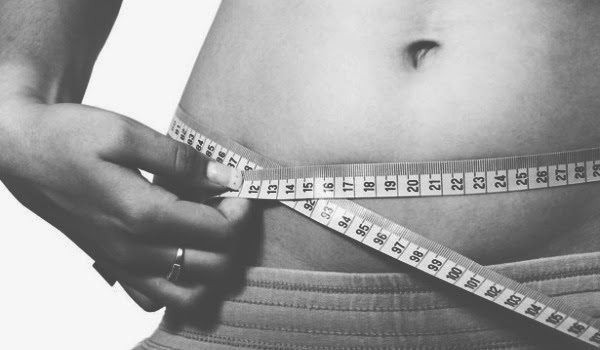 There is actually interesting research about the weight-loss benefits enjoyed by people who fidget. 10. Take control of the stress in your life. Stress bumps up your cortisol, which, in turn, slows down your metabolism, which increases your fat. When stressed, many of us also reach for food. Find a form of relaxation that works for you. This is very important. I’m a big believer in HIIT exercise because it has worked for me and my clients. This form of exercise significantly cuts down the amount of time you need to spend exercising. High-intensity interval training really boosts your metabolism and helps you fire up your fat burn! Whatever you do, you need to find an exercise program that works for you. Many people like riding their bikes on bike paths throughout the country. I know several men and women who swim or do water aerobics. This can be as calming as it is healthful. 12. Add some green tea to your life. 13. Have a cup of coffee or black tea. Research shows that both coffee and tea help boost metabolism. You don’t want to drink so much that you’re feeling “wired” or stressed because this could trigger cortisol. But a little bit of caffeine will go a long way toward helping your metabolism. 14. Take your vitamin D3. Simply put, vitamin D3 helps with muscle function and keeping your insulin levels healthy. Some research shows that people who are overweight are also more likely to be deficient in vitamin D. Animal studies have shown that vitamin D3 results in an increase in lean mass. Human studies indicate that people with higher serum D3 levels have a decreased risk for falls and muscle weakness as well as less insulin resistance and diabetes. People are not always informed about their vitamin D3 levels. If you have blood work done, you need to request that the test for vitamin D3 is included. Many of my clients — including some medical professionals — have started out with low levels of vitamin D3. Once they began to take it regularly, they saw a marked effect in their weight and their health. 15. Watch out for pesticides. Research shows that pollutants from pesticides can be stored in your fat cells; this can cause a dip in your metabolism. There is also some interesting research indicating that pesticides are implicated in weight gain. Whenever possible, buy organic produce. Whether it’s organic or conventional, wash your fruits and vegetables very, very carefully. Excerpt from How to Fight FATflammation © 2015 by Lori Shemek, M.D. Reprinted with permission from HarperOne.